PC HUD gives you real time performance graphs of your computer’s processor and memory usage. As you’re using your computer have your iOS device act like a second screen displaying up-to-the-second utilization information. 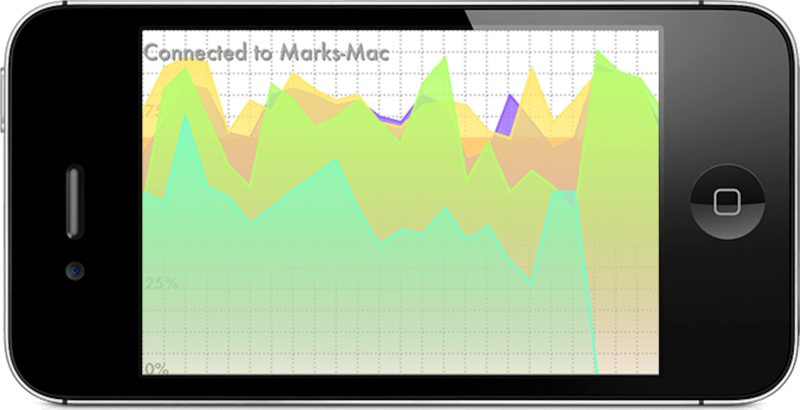 The graphs slide smoothly across the screen, work in any orientation and are customizable with different themes and layout options, displaying information for memory and up to 8 cores. PC HUD can wirelessly monitor any computer running Windows or Mac OS X. The PC HUD app requires the PC HUD application to be installed on any computer you wish to monitor. This is a tiny, free application which is available from www.mark-bridges.com. Apart from installing the application, no configuration is required; the application runs silently on your computer and connections between the iDevice and computer are made automatically. Any computer you wish to view the performance of will need to have the PC HUD application installed on it. PC HUD is free and available on the links above. Click 'Finish' and PC HUD will appear in the system tray and be ready to connect to the app. (If you're prompted to unblock or allow PC HUD through you firewall allow it). To make PC HUD automatically start when you power on your Mac; open PC HUD, right click its icon in the dock and select 'Options' and 'Open at Login'. 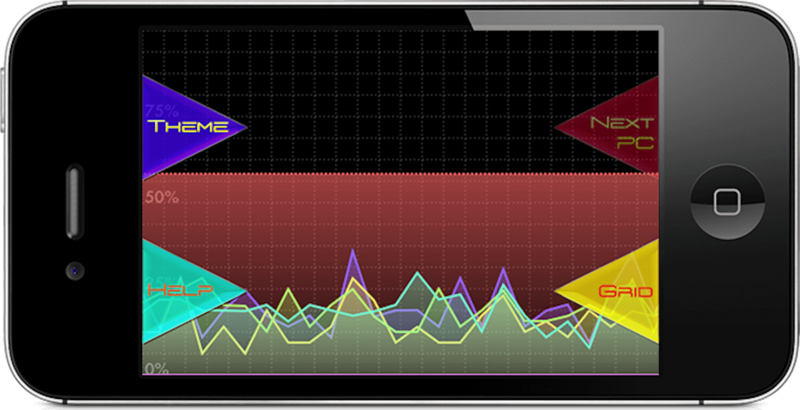 When you start the app you will be automatically connected to your computer and the graph will begin updating on the iDevice. If you have more than one computer on your network running PC HUD you will be connected to the computer you last made a connection to. If you want to connect to a different computer, double tap the screen and press 'Next PC' until you find the PC you want to connect to. To alter the graph's appearance double tap the screen and select 'Theme' to change from light to dark or 'Grid' to turn the grid and numbers on and off. To change the graph's scale you can pinch the screen. If you've got any feedback or ideas for additional features please leave a review. Check you have the PC HUD application running on the computer you wish to monitor (If it's running it will be present in the system tray). Check the firewall is not blocking port 1981. (You will be prompted to unblock it when PC HUD launches on the computer for the first time). Check that both computer and iDevice are connected to the same local network. Check that Bonjour is running on the computer. Check that Java is installed correctly. Click on PC HUD's icon in the system tray and select 'Exit' then start PC HUD again. Uninstall; Bonjour, PC HUD and all versions of Java you have on your PC. Re-install them in this order; Java, Bonjour, PC HUD. On Windows, if the installer opens at startup use CCleaner to delete the startup value.